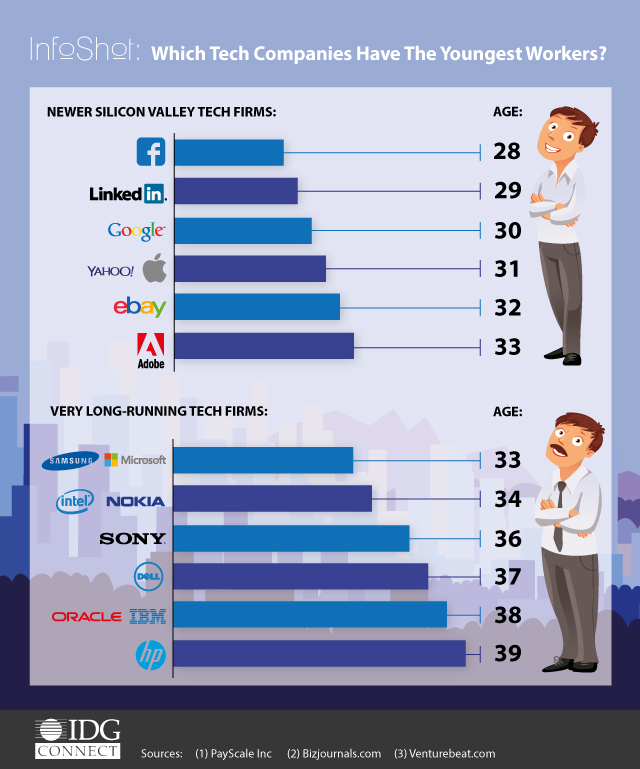 Which tech companies have the youngest workers? Facebook’s founder Mark Zuckerberg got quite a bit of stick when he proclaimed “Young people are just smarter” at an event at Stanford University in 2007. He said young people may not have a family and in the absence of distractions, they can focus on what’s important. As the stats below show, it seems that most of the newer tech giants like Google and Apple really do have a young workforce. 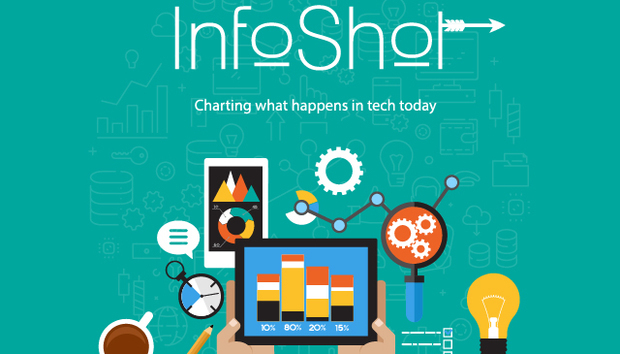 But the story is different at the more established technology companies such as IBM and HP. Whilst the newer tech firms have employees averaging around the 30 age mark, HP employees have a median age of 39.